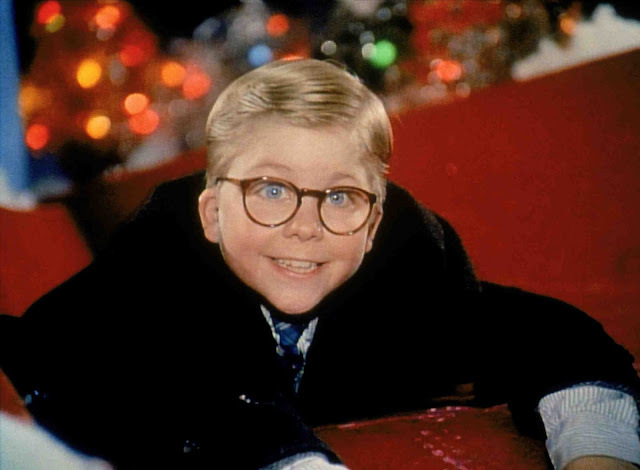 He was a dead ringer for the kid from A Christmas Story. A short, chubby boy with an overgrown buzz cut and thick, dark rimmed glasses. Dressed in navy sweats from head to toe, he ran back and forth along the edge of the playground, arms pumping, breath huffing in out-of-shape bursts. On his third time past he stopped about twenty feet away from my husband and I, equidistant between us and the black plastic swings hanging on long metal chains. Inspired, he turned toward us, the nearest available audience. “I’m gonna do something EPIC,” he said. Then he turned and ran, huffing and chuffing, arms swinging and threw himself belly first onto a swing. To our watching eyes, it was decidedly un-epic. The extended take-off added nothing to the quotidian talent of swinging on your stomach – something any little kid can do. But something in his confident declaration, his putting it all on the line approach was truly legendary. And I loved him for believing it, for announcing it and following through. What he did wasn't epic. But the way he did it? cute. all kinds of cute. I think our IDEAS of the world and what we can do make all the difference.